The aluminum tube closing device is operated by one operator who inserts empty tubes into the tube holders. The tubes are positioned, filled and closed automatically. The date or batch number is being stamped. The machine removes end-products automatically. 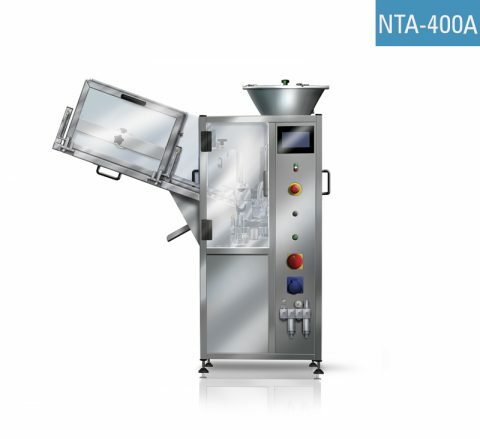 The aluminum tube filling and crimping machine NTA-3 is used for packing of cosmetics, pharmaceuticals, chemicals and food products into aluminum (collapsible) tubes. The metal tube packaging machine is designed to handle large and medium size batches / production lots / jobs.